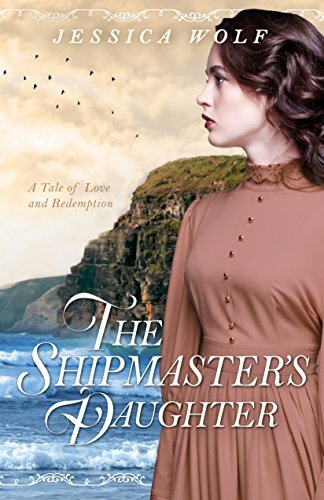 The Shipmaster's Daughter is the tale of the shipwrecked Luciana Renaldi, the titular character, and the home she finds in England with widower Reed Hargrave after her old life sinks with her father's boat. It is a sweet, clean romance, full of dramatic little twists and turns. There are many clichés in The Shipmaster's Daughter, but that is not a bad thing. The typical romantic scenes and plot devices, like the Grand Ball, the Rival Woman, the Decaying Estate, the Misunderstanding, and the Bachelor Best Friend are all in evidence, but well done and well used. It is comfortingly clean and very sweet. Reed Hargrave is a familiar character to anyone who has ever read a romance novel. Luciana differs from most romance heroines in that she is a foreigner to England, and having that be a source of most social conflict was interesting. There are the echoes of Jane Eyre (without any of its gothic edge) and Pride and Prejudice throughout the book, but it adds to its charm rather than detracts from it. The prose here flows wonderfully and is very easy to read. I don't feel overwhelmed with description or confused at all about who is speaking and where they are. Every character has his or her own distinct voice. Occasionally modern sensibilities sneak into this historical romance. Reed makes a comment about disapproving of smoking, which was uncommon in his time and social class. Luciana survives being homeless for a time without facing the dangers and dirtiness a destitute woman in 1908 would. The Shipmaster's Daughter is a charming and clean romance. If you are looking for a largely bright and hopeful read, with plenty of drama to make it exciting, this is the book for you. "Dinner that evening was unpleasant. At least, Reed felt it was. The only sound came from utensils clanging against plates and the air was clogged with unspoken words." Jessica Wolf was born in Dallas, Texas in the middle of a heat wave. From there she relocated to the rolling hills of Pennsylvania and it is there she stayed. 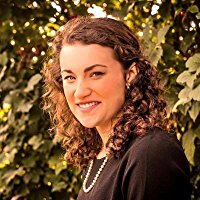 Her writing career began at an early age with short stories about gnomes, princesses, and the occasional lightsaber, but it wasn't until middle school she truly began to hone her craft. Her debut novel The Shipmaster's Daughter was published the day before her eighteenth birthday. In her free time, Jessica enjoys snuggling her cat and watching period pieces on Netflix.